In the past, when I was kind of an organization freak, I roamed Pinterest for any organization tip and trick I could find. Instead, the search resulted in one of my favorite DIYs I've ever done. Simple (because if it's not simple enough, I'm not doing it!) and super quick. 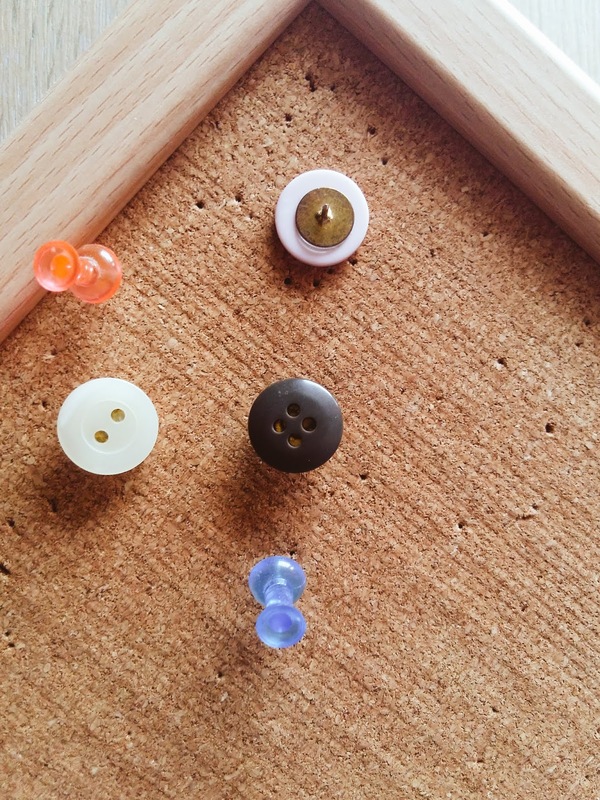 So, today, I'm sharing my cute DIY button pins for your cork board. 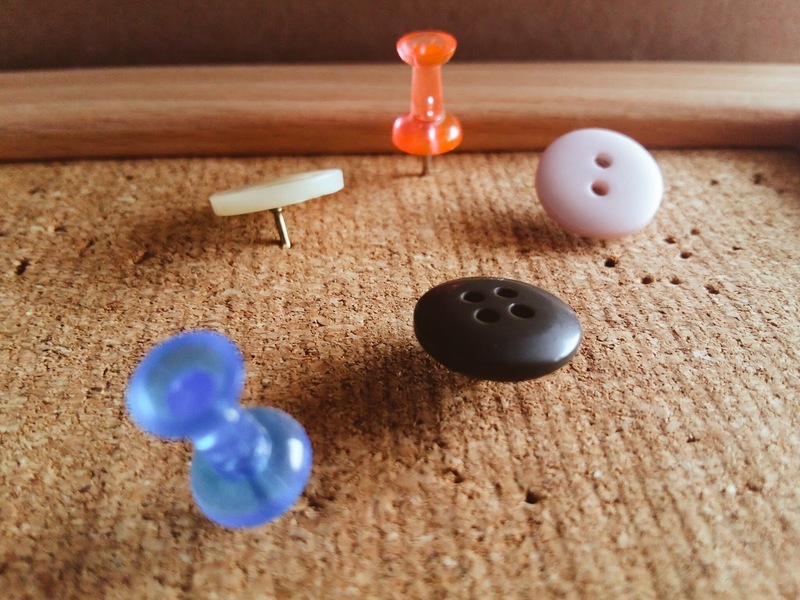 Step 1: Take equal numbers of pins and buttons (obviously! ), and make sure the sides you’re gonna glue together are clean of other substances like dry glue or thread. Step 2: Take each pin, put a drop of glue on its head and attach the back side of the button. It’s as simple as that. Now, go on and make some more button pins. 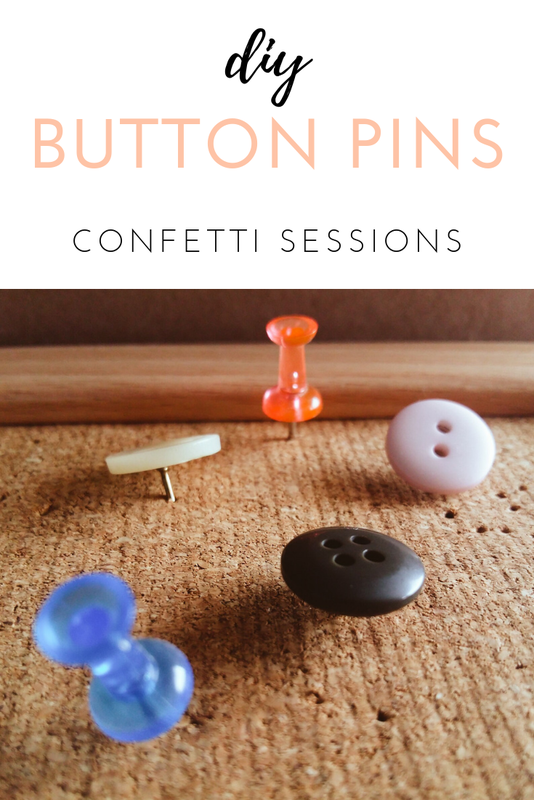 Now, go make your own button pins, and let me see a picture of them using #confettisessionsdiy You can also make pins with more fancy and colorful buttons. Work can sometimes be a bit mind-consuming or psychologically oppressive, even if you really like what you're doing. I know I feel this sometimes, and I seriously LOVE my day job. So, in the evenings we definitely need some relaxation to calm down and recharge for the next day. But, here is the catch: I usually don't like to do anything unless it teaches me something, even subconsciously. 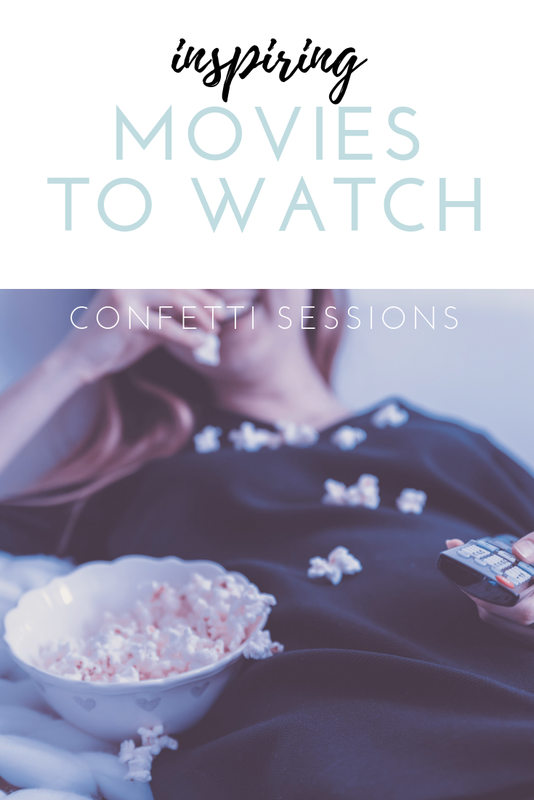 So, I rounded up a list of my favorite inspiring but fun movies to watch on weeknights, ones that lift my spirits up but also teach me one more life lesson, and I'm sharing them with you. The Devil Wears Prada: I mean, what else would be a number one here? A girl, without the necessary knowledge for working in a fashion magazine, makes it through with hard work and determination, while a boss woman directs an entire magazine and rules the world! Legally Blonde: Another beautiful girl with great determination and opinion breaking through society's standards. I love me some Elle Woods anytime! Bend it like Beckham: Oh, what can I say about this movie? Women football, fascinating cultures, challenges and parental limits, new adventures and also proving everyone wrong! #GIRLPOWER Whenever I watch this movie, I wish I had even the slightest understanding in an actual sport. Easy A: It's the right movie to watch if you want to learn to give absolutely no f**ks about what the world is saying about you, one useful lesson. Erin Brockovich: This is my favorite movie of Julia Roberts. A single mum with financial issues tries hard and achieves all she wants while exposing a significant environmental problem. Hidden Figures: Another true story and an inspiring one at this. This movie teaches about fighting and proving your value in a world where no one gives a damn about you, where racism thrives and where the normal for women was to stay at home. Breaking all standards and making it to the moon! Pitch Perfect: This is maybe my favorite movie of all time (don't judge!) together with the next 2 in the franchise. Many girls, each with their own struggles and hopes, come together through music and do the impossible. Love, disappointment, achievement and friendship combined with pop tunes! Woman in Gold: Helen Mirren and a lesson about fighting for justice and respecting the past, all through a quest for a family treasure, the "Woman in Gold" painting. The Dressmaker: Wit and sewing skills. All Kate Winslet needed to win her whole hometown while using the gift she had to transform with the clothes and dresses she made. Matilda: This movie is here not only because of little Matilda, her unique gift and the fun she made of the headmistress, but mostly because of her teacher, a smart woman who achieved a great career on her own and risked everything to help a child in need and protect her from her own parents. A good laugh with a good lesson. 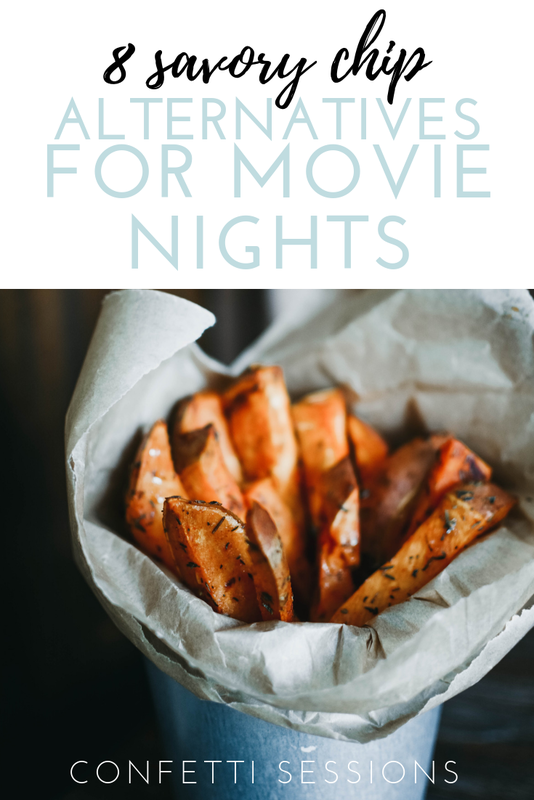 Before watching your movie of choice, be sure to make some savory chip alternatives and of course popcorn, for a perfect movie night! Fall is here (I've said that too many times already)! But do you know what comes with fall? Well, other than rain and colder weather... Here comes movie time! 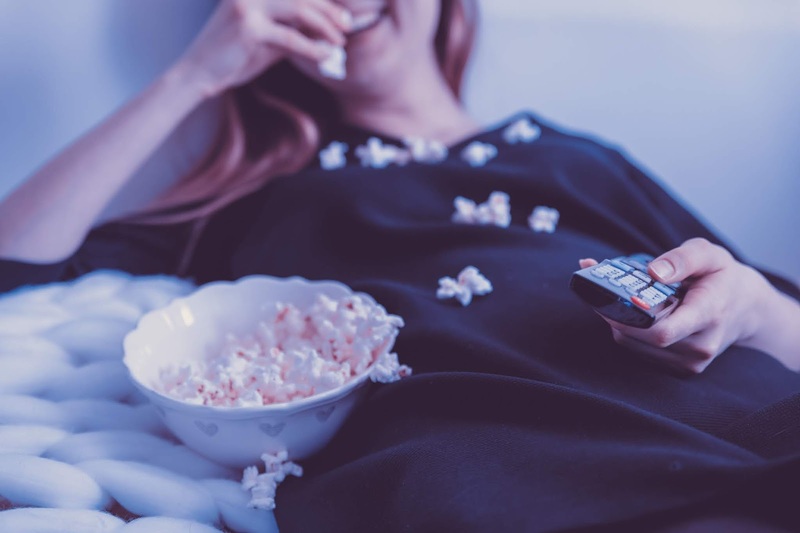 It's the time to watch all these movies you missed this summer because it was too hot not to go to the beach or because you're so busy this year (I'm definitely in that second category). It's also this time of year when our favorite shows return with new seasons (I see you new Criminal Minds season), and with them, here comes the popcorn and chips time! 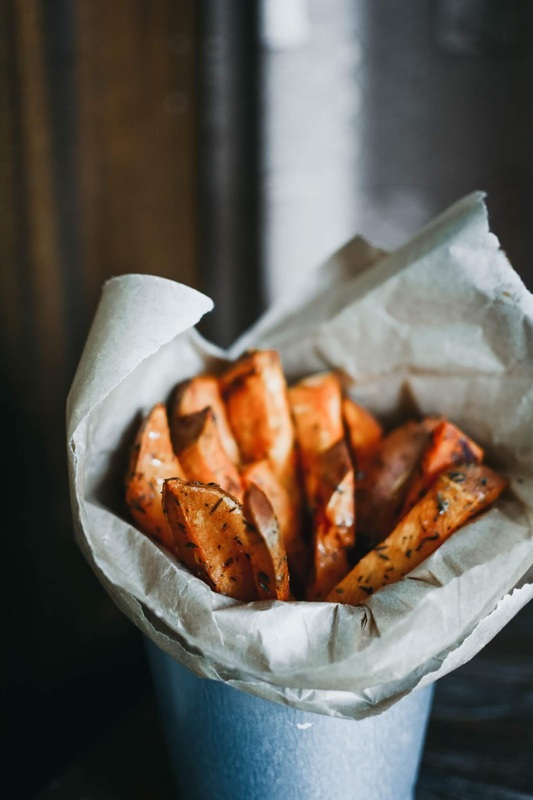 In this blog post, I gathered 8 savory chip alternatives to the all-time-classic potato chips we all adore in a try to find new flavors. So, let's go! Too yummy not to make and very easy and quick for a fast snack. Combine them with salsa or your favorite sauce. Different than regular flavor but also very tasty. Made in 30 minutes only and too easy to pass. Gluten free, grain free, and low carb zucchini chips with only 40 calories per serving. You still think about it? These chips are perfect not only for movie nights, but also for every other time you need a snack! Even though it takes at least 3-4 hours to make these treats, it's totally worth it! Extremely easy and extremely crispy with a perfect combination of flavors. Yum! Friends, whichever recipe you choose, I'm sure you'll enjoy it! Have fun! This month I'm celebrating my first year as a working girl! It's been a full 12 months of working 5 days a week, 8 hours a day and keeping up with my blog during the evenings. Well, that last one didn't go that well but anyway. Some of you may just be starting out on your first job, too and some of you may have just changed jobs and starting again from the top. This post is for you, to help you prepare for the first day, the first week or even the first month in a new job. 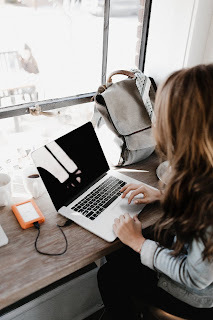 I put together a list of 10 essentials you'll need for your new desk and added my favorites to help you choose yours. Be patient in your new job and don't forget to have fun! Welcome back, friends! Today I'm sharing the process of how I donated my hair and why you should, too. My hair color is naturally dark brown and relatively straight and I've never had even a part of my hair painted another color. I also don't use many styling products and my hair are not very damaged. So, I was the perfect candidate for hair donation, if only I could grow my hair out enough to donate at least 20cm. That's the minimum length a cut ponytail must have to be eligible for donation. 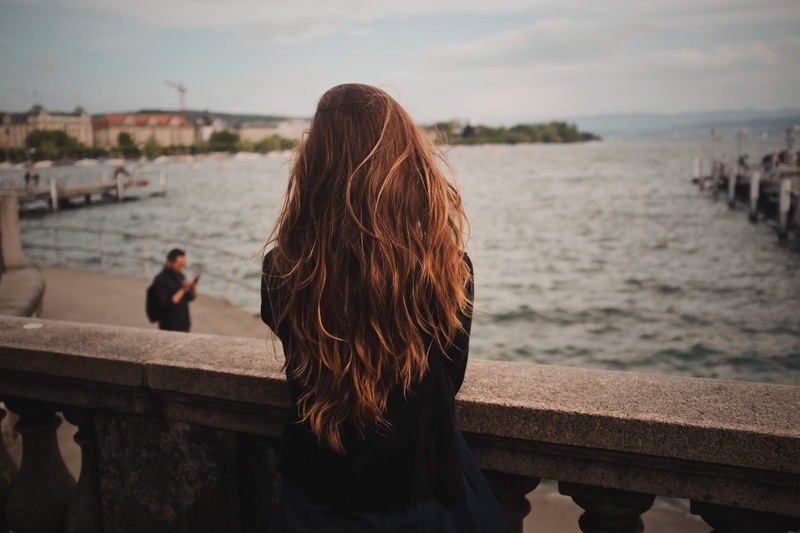 The last couple of years, the thought was going around my mind a LOT, since my hair had always been long, and it would be a perfect opportunity for me to put some happiness in somebody's life. That somebody being people who had lost their hair due to cancer and, with that, most hope for life. 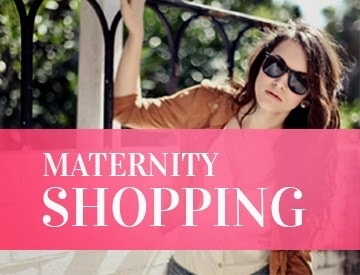 Once, I researched more about the process, it was a no-brainer for me. Last June, my hair finally reached the length I was going for, after almost 1,5 year of growing it out. Then, it was time for a HUGE chop. The hairdresser secured 2 hairbands on the top and the bottom of the ponytail to-be and cut it. I put it in a ziplock bag and she finished my haircut. This was maybe the happiest I've been for a long time, both because a BIG amount of weight was gone and because my hair could be a life changer for another person and possibly their string to life. I, then, contacted the one corporation that was taking hair at this time of year (this corporation was making wigs for women with cancer) and they came to pick up the ponytail. Overall, it might be a lengthy and mostly easy process but it felt my responsibility to give to people who needed my help, even without ever seeing them. If any of you are thinking about it, take the decision and it WILL change your life. If your hair is not a candidate for donation, spread out the word to friends and family and make someone's life a whole lot better. *There are no specific qualifications about donating hair, other than being its natural color. Find more information on the site of the corporation you want to donate to. 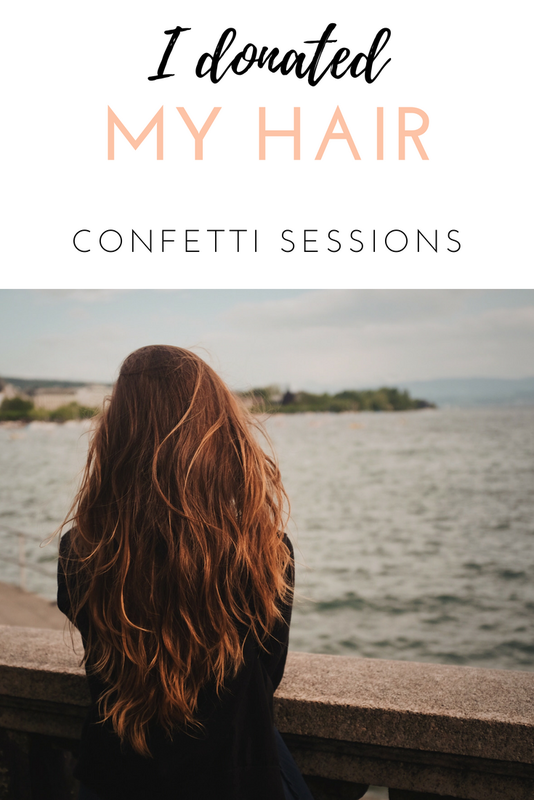 Confetti Sessions is a lifestyle blog inside of which live crafts, DIY projects, recipes, traveling experiences, style and life.